Openly gay former Olympian freestyle skier Gus Kenworthy has seemingly enjoyed his time in the media spotlight since coming out. He has shared stories and photos of his relationship with his allegedly hung boyfriend (NSFW) and started a YouTube channel filled with ski jumps, beer-chugging, and lederhosen—fun! 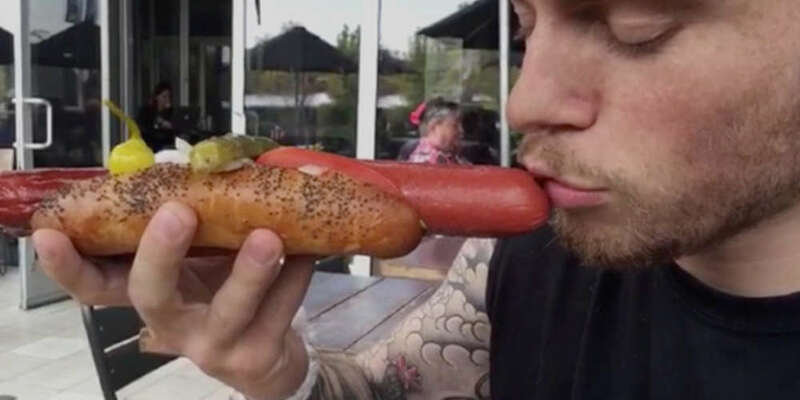 And now Kenworthy has given the world with a strangely hot video of him gently kissing and going down a hot dog. We haven’t seen such a tender, loving scene between a man and a non-human weiner since Rick Perry went down on a Texas State Fair corn dog. 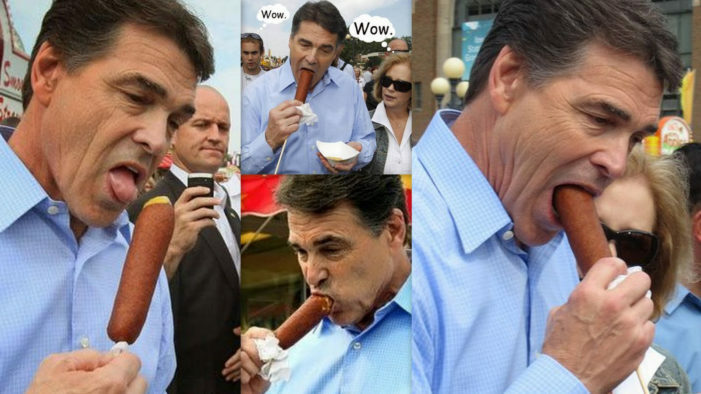 This man is Donald Trump’s pick for our energy secretary, ladies and gentlemen, and he’s gay for corn dogs; so very gay for them. Texas’s homophobic former Governor Rick Perry shows us how it’s done. Get it, gurl! Maybe he and Kenworthy should have a hotdog eating contest. Kenworthy could put it on his YouTube channel. We’d watch the hell out of that. 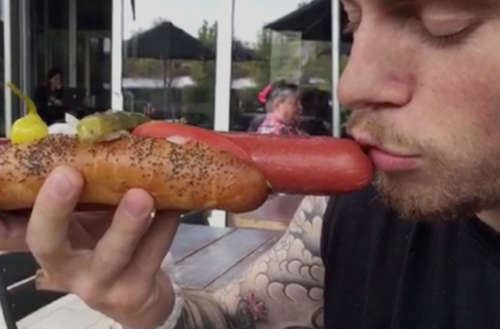 What do you think of this Gus Kenworthy hot dog kissing clip?